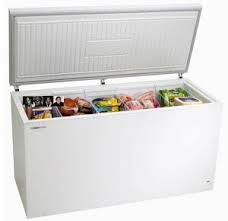 At Appliances Repair Whitby we believe if you are not going to provide thorough freezer repairs you might as well not do them at all. There is no sense in taking shortcuts or putting a bandage on the problem. We do the job right, or not at all. Our superbly trained appliance repair specialists use all of their precision tuned skills to assure complete customer satisfaction. We respond to your request for repairs very quickly. Whether we are providing commercial freezer repair for a huge restaurant or on freezers in one of our resident’s homes in Whitby, Ontario, we always work vigorously towards positive results. We stake our reputation on every job we take and our reputation means something to us. We want to be respected in our community for always providing quality appliance service for our customers. Our appliance specialists can repair the smallest icemakers to the biggest freezers. We are able to fix the major brand of your choice. Appliances Repair Whitby is completely dedicated to building bonds of trust with the community by supplying freezer services that exceed their wildest expectations. Get in contact with our appliance repair team in Whitby today for freezer repair service that can’t be beat.